To begin the submission process, first review the Instructions to Authors information. There will be NO EXTENSION OF THIS DEADLINE. Authors must submit their abstracts by this time to be considered for review. 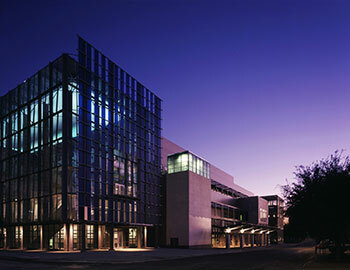 The Austin Convention Center is located at 500 East Cesar Chavez Street in Austin, Texas. This year AAPM offers complimentary wi-fi in the Exhibit Hall, all AAPM session rooms and function space. Need to charge your phone or other electronic device? Charging stations will be located in the Exhibit Hall. All registered companions are welcome! Stop by to chat with friends, meet with family members after sightseeing, or grab a cold drink. A hostess with knowledge of the local attractions will be available to address your questions and interests. Please note: children ages 11 and under are not allowed into the exhibit hall or session rooms. No sponsored child care will be offered during this meeting. The concierge at your hotel may be able to assist you with special child care arrangements. AAPM wishes to take any steps required to ensure that no individual with a disability is excluded, denied services, segregated or otherwise treated differently due to the absence of auxiliary aids and services identified in the Americans with Disabilities Act. If any such services are necessary in order for you to participate in the AAPM 56th Annual Meeting and Exhibition, please communicate your needs well in advance by marking the "special needs " box when pre-registering. Rent a Scooter or Wheelchair for the meeting. Stop by AAPM Member Services to obtain a key. Need a Visa letter inviting you to the AAPM 56th Annual Meeting and Exhibition? Generate one here. The dress code is business casual for the AAPM Meeting. Experience Austin like a local. True Austin allows you to contact local experts.